Dr. O’Donnell is Board-certified in clinical genetics, biochemical genetics and pediatrics. She is an Attending in the Division of Genetics and Genomics at Boston Children’s Hospital and an Instructor in Pediatrics at Harvard Medical School. She is originally from Louisiana and moved to New York for her MD/PhD training at Columbia University Medical School. Her thesis research focused on the role of DNA methylation alterations in complex disease including cancer and neurologic disease. She became interested in rare disease during medical school, leading her to be the first to complete the Combined Pediatrics-Genetics Residency Training Program at Boston Children’s Hospital and Harvard Medical School and a Fellowship in Medical Biochemical Genetics. 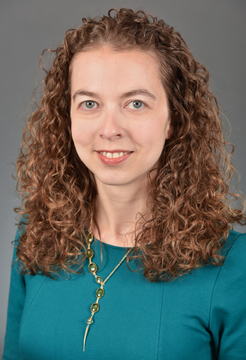 As the Associate Director of the the Center for Mendelian Genomics (CMG) at the Broad Institute of MIT and Harvard, she leads a team analyzing the genetic variants found in thousands of families affected with rare disease to improve genetic diagnosis and novel disease gene discovery. Her research is focused on using large scale genomics to understand the molecular mechanisms of conditions involving epigenetic dysregulation of the chromatin machinery. To view her Harvard Catalyst profile, click here.